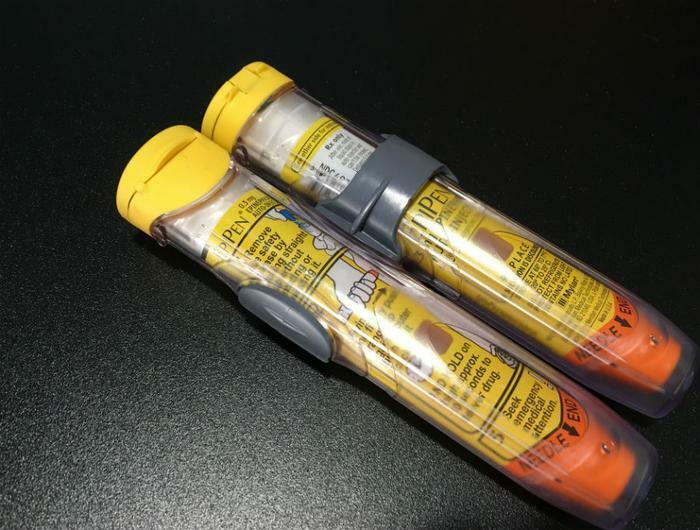 Among its other problems, Mylan Pharmaceuticals is facing a class action lawsuit that claims the EpiPen price increases of the last nine years violate Ohio's price-gouging laws. “The outrageous, unconscionable and immoral high prices set by Defendant is nothing more than price gouging,” plaintiff Linda Bates said in her lawsuit. She said her son's severe allergies require him to carry an EpiPen at all times. The suit charges that the EpiPen, which injects life-saving epinephrine through an automated syringe device, sold for less thn $100 when Mylan bought the device from Merck in 2007. Mylan has raised the price steadily to more than $600 this year, although in response to the public outcry over the price hikes, the company agreed to make a generic version available and to increase financial aid to some customers. Bates' lawyer, Carl Lewis, says response to the lawsuit has been "unbelievable." “We have probably close to 1,000 people that have reached out to us. Social media is unbelievable. Facebook, Twitter. It’s been blowing up. I thought it would just be Ohio but it’s all over the country,” Lewis told Fox Business News. Lawmakers in Congress and state legislatures have been calling on Mylan to roll back the increases and at least two attorneys general, in New York and Minnesota, say they are contemplating legal action. "New York Attorney General Eric T. Schneiderman said Mylan may have inserted potentially anticompetitive terms into its EpiPen sales contracts with numerous local school systems. “No child’s life should be put at risk because a parent, school, or healthcare provider cannot afford a simple, life-saving device because of a drug-maker’s anti-competitive practices,” Schneiderman said in a press release. “If Mylan engaged in anti-competitive business practices, or violated antitrust laws with the intent and effect of limiting lower cost competition, we will hold them accountable."